Many of us face this issue in some point of our life where our PC or laptop seems to be running slow. The factors might be various or maybe because of fragmentation of files on our hard disk. The only solution to this problem is defragmentation of files, and so does defragmentation software comes into action. But what does fragmentation actually means? Fragmentation is nothing but a data locking sector where data gets stored for longer period of time or the information stored when any kind of data is deleted. This causes the system to take more longer time while reading the information from the hard disk since the system has to find each and every sector. To avoid all of these problems, a scheduled defragmentation can help you lot in removing all the sector of data which are not in use so that it can be used to access files even more faster than before. 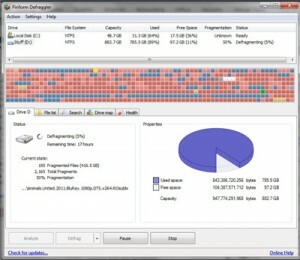 How does Defragmentation help you for faster Hard Drive? Defragmentation is a cool process whereby all of the system unused memory is been deleted so that the system can speed up faster. It also improves the overall health of the system. But one important thing to note over here is that you should Defragment your hard drives continuously, it depends on how much data you store or delete from your computer. Generally people Defragment their hard drives once a month, wherein they find their PC running smooth as before. For people who are little confused about whether to get a free of paid version for Defragmentation, I would recommend them to go for the free version as of now since free version works fine in fastening PC. Also these days some of the Antivirus like Norton have already built in Defragmentation tools embedded along with them, in that case there would be no such need to buy special Defragmentation tools. Defragmentation is one of the most useful software which people use in their life almost every week or month. Depending upon the usage, people may even opt for the paid version. Below are some of the tools which we have categorized according to how they do their job in faster and smoother way. Let’s go ahead and checkout the following Top 5 Defragmentation Softwares. MyDefrag, may not be having a decent interface, but it definitely helps in providing the best defragmentation options and utilities all the way. One of the best feature of this tool is that whenever you computer is idle, at that time only it starts its process, thus reduce the load on the memory and use less resources. It also makes a temporary folder wherein all the dump data can be stored along with log files so that it can be easily restored at one click. Who doesn’t know Norton? Norton has really made their name in the list of top brands in some previous years, where they are offering excellent antivirus and internet security tools, which indeed has several features addon along with it. 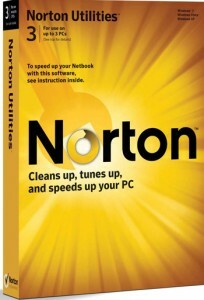 Along with the antivirus, now Norton can take care of your computer, even in better way by disposing off your waste very easily with the help of its Defragmentation tool. It has several other tools including registry cleaner which helps in fastening PC within matter of few minutes. But one of the main disadvantages with Norton is that it consumes lot of memory and resources, so if you are not having a good processor or memory, then we recommend you to stick to the rest of the tools. If you are looking forward to get the best method to get rid of fragmentation, then Defraggler would definitely help you a lot. There is an option call Quick Defrag which helps you to defragment your hard disk drive. It not just performs the defragmentation process but also give out the overall health report of the PC. The only thing about this tool is that they have pretty decent interface which is loved by everyone and the powerful speed to defragment the hard drive is just amazing, such that even 1TB of disk can be done within a matter of some minutes. O&O Defrag provides a simple interface and perform multiple actions to take care of your fragmentation issues. It helps in defragmentation of PC and performs all actions smoothly atone go. It not just analyzes your PC health but also perform a check regularly and try to fix out all possible errors occurred during installation or removal. Another excellent feature of this tool is that it has the capability to scan multiple drives at the same time, thus saves a lot of time altogether. 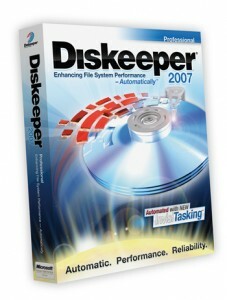 If you are on a battle again fragmentation, then Diskeeper is one of the most powerful tool you could ever image you use. With lots of features out there and smart way of disposing everything is one of the major advantages of using Diskeeper. It provides excellent piece of information with respect to how a computer works? What its current health status? 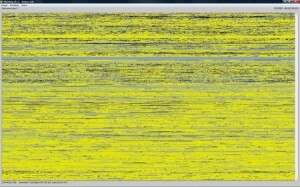 Which region to start defragmenting? Another advantage of using this tool is that it performs all the actions in the background, and helps you to concentrate on your work. 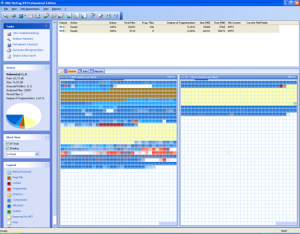 Defragmentation is useful software that would enable you to speedup your computer. However there are several other factors to be considered as well for speeding up PC since only one thing wouldn’t work to give your PC a lightning speed. There are several others methods as well to speed up PC, which we will cover out in our next article. Do leave out your comments on which Defragmentation software you use to provide your PC a boost.